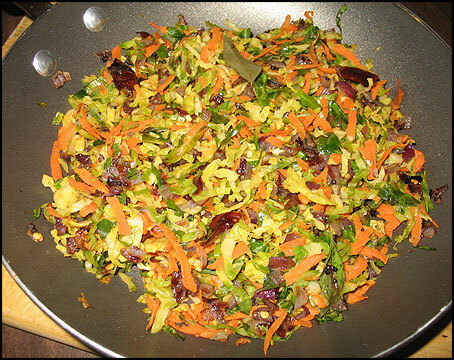 The ratio between the carrots and brussels sprout can be changed according to your taste/preference. Add Brussels sprout to a saucepan and add salt, chili powder, water and cover and cook on medium flame until ¾ done. If needed sprinkle a little water at time to prevent burning. In another skillet add oil and add mustard seeds. you impress me with your energy and creativity..thanks for keeping up with your wonderful blog..i am so happy to have discovered it!! This looks yummy i will try it soon I love the combination of cayenne and brussel sprouts!